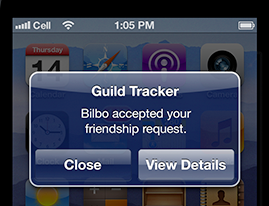 With the new push notifications feature in the Usergrid, you can send announcements to your app’s users. Reach your app’s users with messages they care about. Keep your app footprint low while communicating in a high-value way with your app’s users. Depending on your supported app platforms, you’ll need just a few things. Connect Apple or Google with Usergrid and your app. Register with Apple or Google. Things don’t work as you expect?